We have another video for our readers that claims to reveal an iPad 5th generation case, although we should point out that this video comes from the same YouTube user that gave as an iPhone 5C case and uploaded it to the video sharing website in the last couple of days. 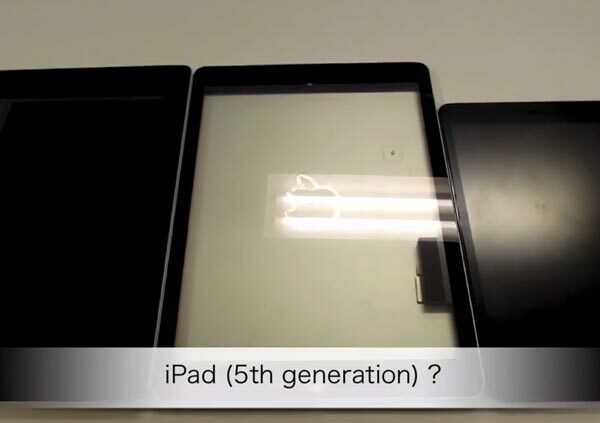 This claimed iPad 5 case has been put next to what seems to be a current generation iPad 4 and mini. The iPad 5 casing is seen in the middle and on the right you will see how much smaller the iPad mini is in comparison, and this is pretty much like you would see when comparing the size of current full sized iPads. It is worth noting that the iPad 5 case seems to feature a slightly thinner width, but this could be deceiving thanks to the camera angle. The bezel seen on the iPad 5 case in this video is still more than the current iPad mini. Take a look at the video and share a comment with how believable this case is for the iPad 5 in your opinion. Personally, we have our doubts thanks to the bezel being so thick and rumors pointing towards something almost the same as iPad mini and that’s not the case in the video below. You can see some other pictures in an article we published a couple of days ago, which reveal an iPad 5 with a similar rear shell as the iPad mini. What would you like to see feature on the final iPad 5 design? In our opinion, Apple need to deliver a tablet that is a lot lighter as this is why some people are going for the lighter iPad mini at just 2 inches smaller with a much thinner bezel.